The pharmaceutical industry discovers, develops, produces, and markets drugs or pharmaceutical drugs for use as medications to be administered (or self-administered) to patients to cure them, vaccinate them, or alleviate a symptom. Pharmaceutical companies may deal in generic or brand medications and medical devices. They are subject to a variety of laws and regulations that govern the patenting, testing, safety, efficacy and marketing of drugs. The modern pharmaceutical industry traces its roots to two sources. The first of these were local apothecaries that expanded from their traditional role distributing botanical drugs such as morphine and quinine to wholesale manufacture in the mid 1800s. Rational drug discovery from plants started particularly with the isolation of morphine, analgesic and sleep-inducing agent from opium, by the German apothecary assistant Friedrich Sertürner who named the compound after the Greek god of dreams, Morpheus. By the late 1880s, German dye manufacturers had perfected the purification of individual organic compounds from tar and other mineral sources and had also established rudimentary methods in organic chemical synthesis. The development of synthetic chemical methods allowed scientists to systematically vary the structure of chemical substances, and growth in the emerging science of pharmacology expanded their ability to evaluate the biological effects of these structural changes. By the 1890s, the profound effect of adrenal extracts on many different tissue types had been discovered, setting off a search both for the mechanism of chemical signalling and efforts to exploit these observations for the development of new drugs. The blood pressure raising and vasoconstrictive effects of adrenal extracts were of particular interest to surgeons as hemostatic agents and as treatment for shock, and a number of companies developed products based on adrenal extracts containing varying purities of the active substance. In 1897, John Abel of Johns Hopkins University identified the active principle as epinephrine, which he isolated in an impure state as the sulfate salt. Industrial chemist Jokichi Takamine later developed a method for obtaining epinephrine in a pure state, and licensed the technology to Parke-Davis. Parke-Davis marketed epinephrine under the trade name Adrenalin. Injected epinephrine proved to be especially efficacious for the acute treatment of asthma attacks, and an inhaled version was sold in the United States until 2011 (Primatene Mist). By 1929 epinephrine had been formulated into an inhaler for use in the treatment of nasal congestion. While highly effective, the requirement for injection limited the use of epinephrine[clarification needed] and orally active derivatives were sought. A structurally similar compound, ephedrine, (actually more similar to norepinephrine,) was identified by Japanese chemists in the Ma Huang plant and marketed by Eli Lilly as an oral treatment for asthma. Following the work of Henry Dale and George Barger at Burroughs-Wellcome, academic chemist Gordon Alles synthesized amphetamine and tested it in asthma patients in 1929. The drug proved to have only modest anti-asthma effects, but produced sensations of exhilaration and palpitations. Amphetamine was developed by Smith, Kline and French as a nasal decongestant under the trade name Benzedrine Inhaler. Amphetamine was eventually developed for the treatment of narcolepsy, post-encephalitic parkinsonism, and mood elevation in depression and other psychiatric indications. It received approval as a New and Nonofficial Remedy from the American Medical Association for these uses in 1937 and remained in common use for depression until the development of tricyclic antidepressants in the 1960s. In 1903, Hermann Emil Fischer and Joseph von Mering disclosed their discovery that diethylbarbituric acid, formed from the reaction of diethylmalonic acid, phosphorus oxychloride and urea, induces sleep in dogs. The discovery was patented and licensed to Bayer pharmaceuticals, which marketed the compound under the trade name Veronal as a sleep aid beginning in 1904. Systematic investigations of the effect of structural changes on potency and duration of action led to the discovery of phenobarbital at Bayer in 1911 and the discovery of its potent anti-epileptic activity in 1912. Phenobarbital was among the most widely used drugs for the treatment of epilepsy through the 1970s, and as of 2014, remains on the World Health Organizations list of essential medications. The 1950s and 1960s saw increased awareness of the addictive properties and abuse potential of barbiturates and amphetamines and led to increasing restrictions on their use and growing government oversight of prescribers. Today, amphetamine is largely restricted to use in the treatment of attention deficit disorder and phenobarbital in the treatment of epilepsy. A series of experiments performed from the late 1800s to the early 1900s revealed that diabetes is caused by the absence of a substance normally produced by the pancreas. In 1869, Oskar Minkowski and Joseph von Mering found that diabetes could be induced in dogs by surgical removal of the pancreas. In 1921, Canadian professor Frederick Banting and his student Charles Best repeated this study, and found that injections of pancreatic extract reversed the symptoms produced by pancreas removal. Soon, the extract was demonstrated to work in people, but development of insulin therapy as a routine medical procedure was delayed by difficulties in producing the material in sufficient quantity and with reproducible purity. The researchers sought assistance from industrial collaborators at Eli Lilly and Co. based on the company's experience with large scale purification of biological materials. Chemist George B. Walden of Eli Lilly and Company found that careful adjustment of the pH of the extract allowed a relatively pure grade of insulin to be produced. Under pressure from Toronto University and a potential patent challenge by academic scientists who had independently developed a similar purification method, an agreement was reached for non-exclusive production of insulin by multiple companies. Prior to the discovery and widespread availability of insulin therapy the life expectancy of diabetics was only a few months. The development of drugs for the treatment of infectious diseases was a major focus of early research and development efforts; in 1900 pneumonia, tuberculosis, and diarrhea were the three leading causes of death in the United States and mortality in the first year of life exceeded 10%. In 1911 arsphenamine, the first synthetic anti-infective drug, was developed by Paul Ehrlich and chemist Alfred Bertheim of the Institute of Experimental Therapy in Berlin. The drug was given the commercial name Salvarsan. Ehrlich, noting both the general toxicity of arsenic and the selective absorption of certain dyes by bacteria, hypothesized that an arsenic-containing dye with similar selective absorption properties could be used to treat bacterial infections. Arsphenamine was prepared as part of a campaign to synthesize a series of such compounds, and found to exhibit partially selective toxicity. Arsphenamine proved to be the first effective treatment for syphilis, a disease which prior to that time was incurable and led inexorably to severe skin ulceration, neurological damage, and death. Ehrlich's approach of systematically varying the chemical structure of synthetic compounds and measuring the effects of these changes on biological activity was pursued broadly by industrial scientists, including Bayer scientists Josef Klarer, Fritz Mietzsch, and Gerhard Domagk. This work, also based in the testing of compounds available from the German dye industry, led to the development of Prontosil, the first representative of the sulfonamide class of antibiotics. Compared to arsphenamine, the sulfonamides had a broader spectrum of activity and were far less toxic, rendering them useful for infections caused by pathogens such as streptococci. In 1939, Domagk received the Nobel Prize in Medicine for this discovery. Nonetheless, the dramatic decrease in deaths from infectious diseases that occurred prior to World War II was primarily the result of improved public health measures such as clean water and less crowded housing, and the impact of anti-infective drugs and vaccines was significant mainly after World War II. In 1928, Alexander Fleming discovered the antibacterial effects of penicillin, but its exploitation for the treatment of human disease awaited the development of methods for its large scale production and purification. These were developed by a U.S. and British government-led consortium of pharmaceutical companies during the Second World War. Early progress toward the development of vaccines occurred throughout this period, primarily in the form of academic and government-funded basic research directed toward the identification of the pathogens responsible for common communicable diseases. In 1885 Louis Pasteur and Pierre Paul Émile Roux created the first rabies vaccine. The first diphtheria vaccines were produced in 1914 from a mixture of diphtheria toxin and antitoxin (produced from the serum of an inoculated animal), but the safety of the inoculation was marginal and it was not widely used. The United States recorded 206,000 cases of diphtheria in 1921 resulting in 15,520 deaths. In 1923 parallel efforts by Gaston Ramon at the Pasteur Institute and Alexander Glenny at the Wellcome Research Laboratories (later part of GlaxoSmithKline) led to the discovery that a safer vaccine could be produced by treating diphtheria toxin with formaldehyde. In 1944, Maurice Hilleman of Squibb Pharmaceuticals developed the first vaccine against Japanese encephelitis. Hilleman would later move to Merck where he would play a key role in the development of vaccines against measles, mumps, chickenpox, rubella, hepatitis A, hepatitis B, and meningitis. Prior to the 20th century drugs were generally produced by small scale manufacturers with little regulatory control over manufacturing or claims of safety and efficacy. To the extent that such laws did exist, enforcement was lax. In the United States, increased regulation of vaccines and other biological drugs was spurred by tetanus outbreaks and deaths caused by the distribution of contaminated smallpox vaccine and diphtheria antitoxin. The Biologics Control Act of 1902 required that federal government grant premarket approval for every biological drug and for the process and facility producing such drugs. This was followed in 1906 by the Pure Food and Drugs Act, which forbade the interstate distribution of adulterated or misbranded foods and drugs. A drug was considered misbranded if it contained alcohol, morphine, opium, cocaine, or any of several other potentially dangerous or addictive drugs, and if its label failed to indicate the quantity or proportion of such drugs. The government's attempts to use the law to prosecute manufacturers for making unsupported claims of efficacy were undercut by a Supreme Court ruling restricting the federal government's enforcement powers to cases of incorrect specification of the drug's ingredients. In 1937 over 100 people died after ingesting "Elixir Sulfanilamide" manufactured by S.E. Massengill Company of Tennessee. The product was formulated in diethylene glycol, a highly toxic solvent that is now widely used as antifreeze. Under the laws extant at that time, prosecution of the manufacturer was possible only under the technicality that the product had been called an "elixir", which literally implied a solution in ethanol. In response to this episode, the U.S. Congress passed the Federal Food, Drug, and Cosmetic Act of 1938, which for the first time required pre-market demonstration of safety before a drug could be sold, and explicitly prohibited false therapeutic claims. The aftermath of World War II saw an explosion in the discovery of new classes of antibacterial drugs including the cephalosporins (developed by Eli Lilly based on the seminal work of Giuseppe Brotzu and Edward Abraham), streptomycin (discovered during a Merck-funded research program in Selman Waksman's laboratory), the tetracyclines (discovered at Lederle Laboratories, now a part of Pfizer), erythromycin (discovered at Eli Lilly and Co.) and their extension to an increasingly wide range of bacterial pathogens. Streptomycin, discovered during a Merck-funded research program in Selman Waksman's laboratory at Rutgers in 1943, became the first effective treatment for tuberculosis. At the time of its discovery, sanitoriums for the isolation of tuberculosis-infected people were an ubiquitous feature of cities in developed countries, with 50% dying within 5 years of admission. A Federal Trade Commission report issued in 1958 attempted to quantify the effect of antibiotic development on American public health. The report found that over the period 1946-1955, there was a 42% drop in the incidence of diseases for which antibiotics were effective and only a 20% drop in those for which antibiotics were not effective. The report concluded that "it appears that the use of antibiotics, early diagnosis, and other factors have limited the epidemic spread and thus the number of these diseases which have occurred". The study further examined mortality rates for eight common diseases for which antibiotics offered effective therapy (syphilis, tuberculosis, dysentery, scarlet fever, whooping cough, meningococcal infections, and pneumonia), and found a 56% decline over the same period. Notable among these was a 75% decline in deaths due to tuberculosis. Measles cases reported in the United States before and after introduction of the vaccine. Percent surviving by age in 1900, 1950, and 1997. During the years 1940-1955, the rate of decline in the U.S. death rate accelerated from 2% per year to 8% per year, then returned to the historical rate of 2% per year. The dramatic decline in the immediate post-war years has been attributed to the rapid development of new treatments and vaccines for infectious disease that occurred during these years. Vaccine development continued to accelerate, with the most notable achievement of the period being Jonas Salk's 1954 development of the polio vaccine under the funding of the non-profit National Foundation for Infantile Paralysis. The vaccine process was never patented, but was instead given to pharmaceutical companies to manufacture as a low-cost generic. In 1960 Maurice Hilleman of Merck Sharp & Dohme identified the SV40 virus, which was later shown to cause tumors in many mammalian species. It was later determined that SV40 was present as a contaminant in polio vaccine lots that had been administered to 90% of the children in the United States. The contamination appears to have originated both in the original cell stock and in monkey tissue used for production. In 2004 the United States Cancer Institute announced that it had concluded that SV40 is not associated with cancer in people. Other notable new vaccines of the period include those for measles (1962, John Franklin Enders of Children's Medical Center Boston, later refined by Maurice Hilleman at Merck), Rubella (1969, Hilleman, Merck) and mumps (1967, Hilleman, Merck) The United States incidences of rubella, congenital rubella syndrome, measles, and mumps all fell by >95% in the immediate aftermath of widespread vaccination. The first 20 years of licensed measles vaccination in the U.S. prevented an estimated 52 million cases of the disease, 17,400 cases of mental retardation, and 5,200 deaths. Hypertension is a risk factor for atherosclerosis, heart failure, coronary artery disease, stroke, renal disease, and peripheral arterial disease, and is the most important risk factor for cardiovascular morbidity and mortality, in industrialized countries. Prior to 1940 approximately 23% of all deaths among persons over age 50 were attributed to hypertension. Severe cases of hypertension were treated by surgery. Early developments in the field of treating hypertension included quaternary ammonium ion sympathetic nervous system blocking agents, but these compounds were never widely used due to their severe side effects, because the long term health consequences of high blood pressure had not yet been established, and because they had to be administered by injection. In 1952 researchers at Ciba discovered the first orally available vasodilator, hydralazine. A major shortcoming of hydralazine monotherapy was that it lost its effectiveness over time (tachyphylaxis). In the mid-1950s Karl H. Beyer, James M. Sprague, John E. Baer, and Frederick C. Novello of Merck and Co. discovered and developed chlorothiazide, which remains the most widely used antihypertensive drug today. This development was associated with a substantial decline in the mortality rate among people with hypertension. The inventors were recognized by a Public Health Lasker Award in 1975 for "the saving of untold thousands of lives and the alleviation of the suffering of millions of victims of hypertension". A 2009 Cochrane review concluded that thiazide antihypertensive drugs reduce the risk of death (RR 0.89), stroke (RR 0.63), coronary heart disease (RR 0.84), and cardiovascular events (RR 0.70) in people with high blood pressure. [needs update] In the ensuring years other classes of antihypertensive drug were developed and found wide acceptance in combination therapy, including loop diuretics (Lasix/furosemide, Hoechst Pharmaceuticals, 1963), beta blockers (ICI Pharmaceuticals, 1964) ACE inhibitors, and angiotensin receptor blockers. ACE inhibitors reduce the risk of new onset kidney disease [RR 0.71] and death [RR 0.84] in diabetic patients, irrespective of whether they have hypertension. Prior to the second world war, birth control was prohibited in many countries, and in the United States even the discussion of contraceptive methods sometimes led to prosecution under Comstock laws. The history of the development of oral contraceptives is thus closely tied to the birth control movement and the efforts of activists Margaret Sanger, Mary Dennett, and Emma Goldman. Based on fundamental research performed by Gregory Pincus and synthetic methods for progesterone developed by Carl Djerassi at Syntex and by Frank Colton at G.D. Searle & Co., the first oral contraceptive, Enovid, was developed by E.D. Searle and Co. and approved by the FDA in 1960. The original formulation incorporated vastly excessive doses of hormones, and caused severe side effects. Nonetheless, by 1962, 1.2 million American women were on the pill, and by 1965 the number had increased to 6.5 million. The availability of a convenient form of temporary contraceptive led to dramatic changes in social mores including expanding the range of lifestyle options available to women, reducing the reliance of women on men for contraceptive practice, encouraging the delay of marriage, and increasing pre-marital co-habitation. In the U.S., a push for revisions of the FD&C Act emerged from Congressional hearings led by Senator Estes Kefauver of Tennessee in 1959. The hearings covered a wide range of policy issues, including advertising abuses, questionable efficacy of drugs, and the need for greater regulation of the industry. While momentum for new legislation temporarily flagged under extended debate, a new tragedy emerged that underscored the need for more comprehensive regulation and provided the driving force for the passage of new laws. On 12 September 1960, an American licensee, the William S. Merrell Company of Cincinnati, submitted a new drug application for Kevadon (thalidomide), a sedative that had been marketed in Europe since 1956. The FDA medical officer in charge of reviewing the compound, Frances Kelsey, believed that the data supporting the safety of thalidomide was incomplete. The firm continued to pressure Kelsey and the FDA to approve the application until November 1961, when the drug was pulled off the German market because of its association with grave congenital abnormalities. Several thousand newborns in Europe and elsewhere suffered the teratogenic effects of thalidomide. Without approval from the FDA, the firm distributed Kevadon to over 1,000 physicians there under the guise of investigational use. Over 20,000 Americans received thalidomide in this "study," including 624 pregnant patients, and about 17 known newborns suffered the effects of the drug. The thalidomide tragedy resurrected Kefauver's bill to enhance drug regulation that had stalled in Congress, and the Kefauver-Harris Amendment became law on 10 October 1962. Manufacturers henceforth had to prove to FDA that their drugs were effective as well as safe before they could go on the US market. The FDA received authority to regulate advertising of prescription drugs and to establish good manufacturing practices. The law required that all drugs introduced between 1938 and 1962 had to be effective. An FDA - National Academy of Sciences collaborative study showed that nearly 40 percent of these products were not effective. A similarly comprehensive study of over-the-counter products began ten years later. In 1971, Akira Endo, a Japanese biochemist working for the pharmaceutical company Sankyo, identified mevastatin (ML-236B), a molecule produced by the fungus Penicillium citrinum, as an inhibitor of HMG-CoA reductase, a critical enzyme used by the body to produce cholesterol. Animal trials showed very good inhibitory effect as in clinical trials, however a long term study in dogs found toxic effects at higher doses and as a result mevastatin was believed to be too toxic for human use. Mevastatin was never marketed, because of its adverse effects of tumors, muscle deterioration, and sometimes death in laboratory dogs. P. Roy Vagelos, chief scientist and later CEO of Merck & Co, was interested, and made several trips to Japan starting in 1975. By 1978, Merck had isolated lovastatin (mevinolin, MK803) from the fungus Aspergillus terreus, first marketed in 1987 as Mevacor. Drug discovery is the process by which potential drugs are discovered or designed. In the past most drugs have been discovered either by isolating the active ingredient from traditional remedies or by serendipitous discovery. Modern biotechnology often focuses on understanding the metabolic pathways related to a disease state or pathogen, and manipulating these pathways using molecular biology or biochemistry. A great deal of early-stage drug discovery has traditionally been carried out by universities and research institutions. Drug development refers to activities undertaken after a compound is identified as a potential drug in order to establish its suitability as a medication. Objectives of drug development are to determine appropriate formulation and dosing, as well as to establish safety. Research in these areas generally includes a combination of in vitro studies, in vivo studies, and clinical trials. The cost of late stage development has meant it is usually done by the larger pharmaceutical companies. Often, large multinational corporations exhibit vertical integration, participating in a broad range of drug discovery and development, manufacturing and quality control, marketing, sales, and distribution. Smaller organizations, on the other hand, often focus on a specific aspect such as discovering drug candidates or developing formulations. Often, collaborative agreements between research organizations and large pharmaceutical companies are formed to explore the potential of new drug substances. More recently, multi-nationals are increasingly relying on contract research organizations to manage drug development. Drug discovery and development is very expensive; of all compounds investigated for use in humans only a small fraction are eventually approved in most nations by government appointed medical institutions or boards, who have to approve new drugs before they can be marketed in those countries. In 2010 18 NMEs (New Molecular Entities) were approved and three biologics by the FDA, or 21 in total, which is down from 26 in 2009 and 24 in 2008. On the other hand, there were only 18 approvals in total in 2007 and 22 back in 2006. Since 2001, the Center for Drug Evaluation and Research has averaged 22.9 approvals a year. This approval comes only after heavy investment in pre-clinical development and clinical trials, as well as a commitment to ongoing safety monitoring. Drugs which fail part-way through this process often incur large costs, while generating no revenue in return. If the cost of these failed drugs is taken into account, the cost of developing a successful new drug (new chemical entity, or NCE), has been estimated at about US$1.3 billion(not including marketing expenses). Professors Light and Lexchin reported in 2012, however, that the rate of approval for new drugs has been a relatively stable average rate of 15 to 25 for decades. Industry-wide research and investment reached a record $65.3 billion in 2009. While the cost of research in the U.S. was about $34.2 billion between 1995 and 2010, revenues rose faster (revenues rose by $200.4 billion in that time). A study by the consulting firm Bain & Company reported that the cost for discovering, developing and launching (which factored in marketing and other business expenses) a new drug (along with the prospective drugs that fail) rose over a five-year period to nearly $1.7 billion in 2003. According to Forbes, by 2010 development costs were between $4 billion to $11 billion per drug. Some of these estimates also take into account the opportunity cost of investing capital many years before revenues are realized (see Time-value of money). Because of the very long time needed for discovery, development, and approval of pharmaceuticals, these costs can accumulate to nearly half the total expense. A direct consequence within the pharmaceutical industry value chain is that major pharmaceutical multinationals tend to increasingly outsource risks related to fundamental research, which somewhat reshapes the industry ecosystem with biotechnology companies playing an increasingly important role, and overall strategies being redefined accordingly. Some approved drugs, such as those based on re-formulation of an existing active ingredient (also referred to as Line-extensions) are much less expensive to develop. Due to repeated accusations and findings that some clinical trials conducted or funded by pharmaceutical companies may report only positive results for the preferred medication, the industry has been looked at much more closely by independent groups and government agencies. In response to specific cases in which unfavorable data from pharmaceutical company-sponsored research was not published, the Pharmaceutical Research and Manufacturers of America have published new guidelines urging companies to report all findings and limit the financial involvement in drug companies of researchers. US congress signed into law a bill which requires phase II and phase III clinical trials to be registered by the sponsor on the clinicaltrials.gov website run by the NIH. Drug researchers not directly employed by pharmaceutical companies often look to companies for grants, and companies often look to researchers for studies that will make their products look favorable. Sponsored researchers are rewarded by drug companies, for example with support for their conference/symposium costs. Lecture scripts and even journal articles presented by academic researchers may actually be "ghost-written" by pharmaceutical companies. An investigation by ProPublica found that at least 21 doctors have been paid more than $500,000 for speeches and consulting by drugs manufacturers since 2009, with half of the top earners working in psychiatry, and about $2 billion in total paid to doctors for such services. AstraZeneca, Johnson & Johnson and Eli Lilly have paid billions of dollars in federal settlements over allegations that they paid doctors to promote drugs for unapproved uses. Some prominent medical schools have since tightened rules on faculty acceptance of such payments by drug companies. In contrast to this viewpoint, an article and associated editorial in the New England Journal of Medicine in May 2015 emphasized the importance of pharmaceutical industry-physician interactions for the development of novel treatments, and argued that moral outrage over industry malfeasance had unjustifiably led many to overemphasize the problems created by financial conflicts of interest. The article noted that major healthcare organizations such as National Center for Advancing Translational Sciences of the National Institutes of Health, the President's Council of Advisors on Science and Technology, the World Economic Forum, the Gates Foundation, the Wellcome Trust, and the Food and Drug Administration had encouraged greater interactions between physicians and industry in order to bring greater benefits to patients. In the United States, new pharmaceutical products must be approved by the Food and Drug Administration (FDA) as being both safe and effective. This process generally involves submission of an Investigational New Drug filing with sufficient pre-clinical data to support proceeding with human trials. Following IND approval, three phases of progressively larger human clinical trials may be conducted. Phase I generally studies toxicity using healthy volunteers. Phase II can include pharmacokinetics and dosing in patients, and Phase III is a very large study of efficacy in the intended patient population. Following the successful completion of phase III testing, a New Drug Application is submitted to the FDA. The FDA review the data and if the product is seen as having a positive benefit-risk assessment, approval to market the product in the US is granted. A fourth phase of post-approval surveillance is also often required due to the fact that even the largest clinical trials cannot effectively predict the prevalence of rare side-effects. Postmarketing surveillance ensures that after marketing the safety of a drug is monitored closely. In certain instances, its indication may need to be limited to particular patient groups, and in others the substance is withdrawn from the market completely. The FDA provides information about approved drugs at the Orange Book site. In the UK, the Medicines and Healthcare Products Regulatory Agency approves drugs for use, though the evaluation is done by the European Medicines Agency, an agency of the European Union based in London. Normally an approval in the UK and other European countries comes later than one in the USA. Then it is the National Institute for Health and Care Excellence (NICE), for England and Wales, who decides if and how the National Health Service (NHS) will allow (in the sense of paying for) their use. The British National Formulary is the core guide for pharmacists and clinicians. In many non-US western countries a 'fourth hurdle' of cost effectiveness analysis has developed before new technologies can be provided. This focuses on the efficiency (in terms of the cost per QALY) of the technologies in question rather than their efficacy. In England and Wales NICE decides whether and in what circumstances drugs and technologies will be made available by the NHS, whilst similar arrangements exist with the Scottish Medicines Consortium in Scotland, and the Pharmaceutical Benefits Advisory Committee in Australia. A product must pass the threshold for cost-effectiveness if it is to be approved. Treatments must represent 'value for money' and a net benefit to society. There are special rules for certain rare diseases ("orphan diseases") in several major drug regulatory territories. For example, diseases involving fewer than 200,000 patients in the United States, or larger populations in certain circumstances are subject to the Orphan Drug Act. Because medical research and development of drugs to treat such diseases is financially disadvantageous, companies that do so are rewarded with tax reductions, fee waivers, and market exclusivity on that drug for a limited time (seven years), regardless of whether the drug is protected by patents. In 2011, global spending on prescription drugs topped $954 billion, even as growth slowed somewhat in Europe and North America. The United States accounts for more than a third of the global pharmaceutical market, with $340 billion in annual sales followed by the EU and Japan. Emerging markets such as China, Russia, South Korea and Mexico outpaced that market, growing a huge 81 percent. The top ten best-selling drugs of 2013 totaled $75.6 billion in sales, with the anti-inflammatory drug Humira being the best-selling drug worldwide at $10.7 billion in sales. The second and third best selling were Enbrel and Remicade, respectively. The top three best-selling drugs in the United States in 2013 were Abilify ($6.3 billion,) Nexium ($6 billion) and Humira ($5.4 billion). The best-selling drug ever, Lipitor, averaged $13 billion annually and netted $141 billion total over its lifetime before Pfizer's patent expired in November 2011. IMS Health publishes an analysis of trends expected in the pharmaceutical industry in 2007, including increasing profits in most sectors despite loss of some patents, and new 'blockbuster' drugs on the horizon. Depending on a number of considerations, a company may apply for and be granted a patent for the drug, or the process of producing the drug, granting exclusivity rights typically for about 20 years. However, only after rigorous study and testing, which takes 10 to 15 years on average, will governmental authorities grant permission for the company to market and sell the drug. Patent protection enables the owner of the patent to recover the costs of research and development through high profit margins for the branded drug. When the patent protection for the drug expires, a generic drug is usually developed and sold by a competing company. The development and approval of generics is less expensive, allowing them to be sold at a lower price. Often the owner of the branded drug will introduce a generic version before the patent expires in order to get a head start in the generic market. Restructuring has therefore become routine, driven by the patent expiration of products launched during the industry's "golden era" in the 1990s and companies' failure to develop sufficient new blockbuster products to replace lost revenues. In the U.S., the value of prescriptions increased over the period of 1995 to 2005 by 3.4 billion annually, a 61 percent increase. Retail sales of prescription drugs jumped 250 percent from $72 billion to $250 billion, while the average price of prescriptions more than doubled from $30 to $68. Advertising is common in healthcare journals as well as through more mainstream media routes. In some countries, notably the US, they are allowed to advertise directly to the general public. Pharmaceutical companies generally employ sales people (often called 'drug reps' or, an older term, 'detail men') to market directly and personally to physicians and other healthcare providers. In some countries, notably the US, pharmaceutical companies also employ lobbyists to influence politicians. Marketing of prescription drugs in the US is regulated by the federal Prescription Drug Marketing Act of 1987. The book Bad Pharma also discusses the influence of drug representatives, how ghostwriters are employed by the drug companies to write papers for academics to publish, how independent the academic journals really are, how the drug companies finance doctors' continuing education, and how patients' groups are often funded by industry. Since the 1980s new methods of marketing for prescription drugs to consumers have become important. Direct-to-consumer media advertising was legalised in the FDA Guidance for Industry on Consumer-Directed Broadcast Advertisements. There has been increasing controversy surrounding pharmaceutical marketing and influence. There have been accusations and findings of influence on doctors and other health professionals through drug reps including the constant provision of marketing 'gifts' and biased information to health professionals; highly prevalent advertising in journals and conferences; funding independent healthcare organizations and health promotion campaigns; lobbying physicians and politicians (more than any other industry in the US); sponsorship of medical schools or nurse training; sponsorship of continuing educational events, with influence on the curriculum; and hiring physicians as paid consultants on medical advisory boards. Some advocacy groups, such as No Free Lunch and AllTrials, have criticized the effect of drug marketing to physicians because they say it biases physicians to prescribe the marketed drugs even when others might be cheaper or better for the patient. There have been related accusations of disease mongering(over-medicalising) to expand the market for medications. An inaugural conference on that subject took place in Australia in 2006. In 2009, the Government-funded National Prescribing Service launched the "Finding Evidence – Recognising Hype" program, aimed at educating GPs on methods for independent drug analysis. A 2005 review by a special committee of the UK government came to all the above conclusions in a European Union context whilst also highlighting the contributions and needs of the industry. Meta-analyses have shown that psychiatric studies sponsored by pharmaceutical companies are several times more likely to report positive results, and if a drug company employee is involved the effect is even larger. Influence has also extended to the training of doctors and nurses in medical schools, which is being fought. It has been argued that the design of the Diagnostic and Statistical Manual of Mental Disorders and the expansion of the criteria represents an increasing medicalization of human nature, or "disease mongering", driven by drug company influence on psychiatry. The potential for direct conflict of interest has been raised, partly because roughly half the authors who selected and defined the DSM-IV psychiatric disorders had or previously had financial relationships with the pharmaceutical industry. In the US, starting in 2013, under the Physician Financial Transparency Reports (part of the Sunshine Act), the Centers for Medicare & Medicaid Services has to collect information from applicable manufacturers and group purchasing organizations in order to report information about their financial relationships with physicians and hospitals. Data are made public in the Centers for Medicare & Medicaid Services website. The expectation is that relationship between doctors and Pharmaceutical industry will become fully transparent. In a report conducted by the Center for Responsive Politics, there were more than 1,100 lobbyists working in some capacity for the pharmaceutical business in 2017. In the first quarter of 2017, the health products and pharmaceutical industry spent $78 million on lobbying members of the United States Congress. Ben Goldacre has argued that regulators – such as the Medicines and Healthcare products Regulatory Agency (MHRA) in the UK, or the Food and Drug Administration (FDA) in the United States – advance the interests of the drug companies rather than the interests of the public due to revolving door exchange of employees between the regulator and the companies and friendships develop between regulator and company employees. He argues that regulators do not require that new drugs offer an improvement over what is already available, or even that they be particularly effective. Others have argued that excessive regulation suppresses therapeutic innovation, and that the current cost of regulator-required clinical trials prevents the full exploitation of new genetic and biological knowledge for the treatment of human disease. A 2012 report by the President's Council of Advisors on Science and Technology made several key recommendations to reduce regulatory burdens to new drug development, including 1) expanding the FDA's use of accelerated approval processes, 2) creating an expedited approval pathway for drugs intended for use in narrowly defined populations, and 3) undertaking pilot projects designed to evaluate the feasibility of a new, adaptive drug approval process. Pharmaceutical fraud involves deceptions which bring financial gain to a pharmaceutical company. It affects individuals and public and private insurers. There are several different schemes used to defraud the health care system which are particular to the pharmaceutical industry. These include: Good Manufacturing Practice (GMP) Violations, Off Label Marketing, Best Price Fraud, CME Fraud, Medicaid Price Reporting, and Manufactured Compound Drugs. Of this amount $2.5 billion was recovered through False Claims Act cases in FY 2010. Examples of fraud cases include the GlaxoSmithKline $3 billion settlement, Pfizer $2.3 billion settlement and Merck & Co. $650 million settlement. Damages from fraud can be recovered by use of the False Claims Act, most commonly under the qui tam provisions which rewards an individual for being a "whistleblower", or relator (law). Every major company selling the antipsychotics — Bristol-Myers Squibb, Eli Lilly, Pfizer, AstraZeneca and Johnson & Johnson — has either settled recent government cases, under the False Claims Act, for hundreds of millions of dollars or is currently under investigation for possible health care fraud. Following charges of illegal marketing, two of the settlements set records last year for the largest criminal fines ever imposed on corporations. One involved Eli Lilly's antipsychotic Zyprexa, and the other involved Bextra. In the Bextra case, the government also charged Pfizer with illegally marketing another antipsychotic, Geodon; Pfizer settled that part of the claim for $301 million, without admitting any wrongdoing. On 2 July 2012, GlaxoSmithKline pleaded guilty to criminal charges and agreed to a $3 billion settlement of the largest health-care fraud case in the U.S. and the largest payment by a drug company. The settlement is related to the company's illegal promotion of prescription drugs, its failure to report safety data, bribing doctors, and promoting medicines for uses for which they were not licensed. The drugs involved were Paxil, Wellbutrin, Advair, Lamictal, and Zofran for off-label, non-covered uses. Those and the drugs Imitrex, Lotronex, Flovent, and Valtrex were involved in the kickback scheme. The following is a list of the four largest settlements reached with pharmaceutical companies from 1991 to 2012, rank ordered by the size of the total settlement. Legal claims against the pharmaceutical industry have varied widely over the past two decades, including Medicare and Medicaid fraud, off-label promotion, and inadequate manufacturing practices. Patents have been criticized in the developing world, as they are thought to reduce access to existing medicines. Reconciling patents and universal access to medicine would require an efficient international policy of price discrimination. Moreover, under the TRIPS agreement of the World Trade Organization, countries must allow pharmaceutical products to be patented. In 2001, the WTO adopted the Doha Declaration, which indicates that the TRIPS agreement should be read with the goals of public health in mind, and allows some methods for circumventing pharmaceutical monopolies: via compulsory licensing or parallel imports, even before patent expiration. In March 2001, 40 multi-national pharmaceutical companies brought litigation against South Africa for its Medicines Act, which allowed the generic production of antiretroviral drugs (ARVs) for treating HIV, despite the fact that these drugs were on-patent. HIV was and is an epidemic in South Africa, and ARVs at the time cost between 10,000 and US$15,000 per patient per year. This was unaffordable for most South African citizens, and so the South African government committed to providing ARVs at prices closer to what people could afford. To do so, they would need to ignore the patents on drugs and produce generics within the country (using a compulsory license), or import them from abroad. After international protest in favour of public health rights (including the collection of 250,000 signatures by MSF), the governments of several developed countries (including The Netherlands, Germany, France, and later the US) backed the South African government, and the case was dropped in April of that year. In 2016, GlaxoSmithKline (the worlds 6th largest Pharmaceutical) announced that it would be dropping its patents in poor countries so as to allow independent companies to make and sell versions of its drugs in those areas, thereby widening the public access to them. GlaxoSmithKline published a list of 50 countries they would no longer hold patents in, affecting 1 billion people worldwide. In 2011 four of the top 20 corporate charitable donations and eight of the top 30 corporate charitable donations came from pharmaceutical manufacturers. The bulk of corporate charitable donations (69% as of 2012) comes by way of non-cash charitable donations, the majority of which again were donations contributed by pharmaceutical companies. Some of those large pharmaceutical companies are “patient assistance” foundations, providing financial support to individuals in purchasing prescription medicines, but pharmaceutical companies are also huge givers of in-kind products, i.e. presumably their own drugs. Non-cash donations of product can be "profit maximizing…as part of an inventory control issue when they have excess inventories” for some corporations, says Patrick Rooney of Giving USA in an interview with Nonprofit Quarterly. GSK's commitment to give free albendazole tablets to the WHO for, and until, the elimination of lymphatic filariasis worldwide. 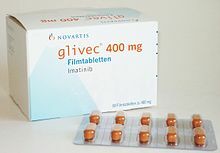 In 2006, Novartis committed US$755 million in corporate citizenship initiatives around the world, particularly focusing on improving access to medicines in the developing world through its Access to Medicine projects, including donations of medicines to patients affected by leprosy, tuberculosis, and malaria; Glivec patient assistance programs; and relief to support major humanitarian organisations with emergency medical needs. ^ McGuire, John L.; Hasskarl, Horst; Bode, Gerd; Klingmann, Ingrid; Zahn, Manuel (2007). Ullmann's Encyclopedia of Industrial Chemistry. doi:10.1002/14356007.a19_273.pub2. ISBN 978-3527306732. ^ Bozenhardt, Erich H.; Bozenhardt, Herman F. (18 October 2018). "Are You Asking Too Much From Your Filler?". Pharmaceutical Online (Guest column). VertMarkets. Retrieved 30 October 2018. The core mission of the pharmaceutical industry is to manufacture products for patients to cure them, vaccinate them, or alleviate a symptom, often by manufacturing a liquid injectable or an oral solid, among other therapies. ^ Multinational corporations including Merck, Hoffman-La Roche, Burroughs-Wellcome (now part of Glaxo Smith Kline), Abbott Laboratories, Eli Lilly and Upjohn (now part of Pfizer) began as local apothecary shops in the mid-1800s. ^ "Top Pharmaceuticals: Introduction: EMERGENCE OF PHARMACEUTICAL SCIENCE AND INDUSTRY: 1870-1930". ^ Walter Sneader (31 October 2005). Drug Discovery: A History. John Wiley & Sons. pp. 155–156. ISBN 978-0-470-01552-0. ^ a b Rasmussen, Nicolas (2006). "Making the First Anti-Depressant: Amphetamine in American Medicine, 1929-1950". J Hist Med Allied Sci. 61 (3): 288–323. doi:10.1093/jhmas/jrj039. PMID 16492800. ^ Yasiry Z, Shorvon SD (December 2012). "How phenobarbital revolutionized epilepsy therapy: the story of phenobarbital therapy in epilepsy in the last 100 years". Epilepsia. 53 Suppl 8: 26–39. doi:10.1111/epi.12026. PMID 23205960. ^ López-Muñoz F, Ucha-Udabe R, Alamo C (December 2005). "The history of barbiturates a century after their clinical introduction". Neuropsychiatr Dis Treat. 1 (4): 329–43. PMC 2424120. PMID 18568113. ^ "Drug Abuse Control Amendments of 1965". NEJM. 273 (22): 1222–1223. 1965-11-25. doi:10.1056/NEJM196511252732213. Officers of the Food and Drug Administration, aware of the seriousness of the problem, estimate that approximately half the 9,000,000,000 barbiturate and amphetamine capsules and tablets manufactured annually in this country are diverted to illegal use. The profits to be gained from the illegal sale of these drugs have proved an attraction to organized crime, for amphetamine can be purchased at wholesale for less than $1 per 1000 capsules, but when sold on the illegal market, it brings $30 to $50 per 1000 and when retailed to the individual buyer, a tablet may bring as much as 10 to 25 cents. ^ Rosenfeld L (December 2002). "Insulin: discovery and controversy". Clin. Chem. 48 (12): 2270–88. PMID 12446492. ^ a b "www.cdc.gov" (PDF). ^ Sepkowitz KA (July 2011). "One hundred years of Salvarsan". N. Engl. J. Med. 365 (4): 291–3. doi:10.1056/NEJMp1105345. PMID 21793743. ^ Aminov RI (2010). "A brief history of the antibiotic era: lessons learned and challenges for the future". Front Microbiol. 1: 134. doi:10.3389/fmicb.2010.00134. PMC 3109405. PMID 21687759. ^ Hager, Thomas (2006). The demon under the microscope : from battlefield hospitals to Nazi labs, one doctor's heroic search for the world's first miracle drug (1st ed.). New York: Harmony Books. ISBN 978-1-4000-8213-1. ^ "Nobel Prize Facts". www.nobelprize.org. Retrieved 19 May 2016. ^ a b Cutler, David; Meara, Ellen (October 2001). "Changes in the Age Distribution of Mortality Over the 20th Century". NBER Working Paper No. 8556. doi:10.3386/w8556. ^ a b Klein, Herbert (2012). A Population History of the United States. Cambridge University Press. p. 167. ^ John Parascandola (1980). The History of antibiotics: a symposium. American Institute of the History of Pharmacy No. 5. ISBN 978-0-931292-08-8. ^ "Diphtheria — Timelines — History of Vaccines". ^ Ii, Thomas H. Maugh (2005-04-13). "Maurice R. Hilleman, 85; Scientist Developed Many Vaccines That Saved Millions of Lives - Los Angeles Times". Los Angeles Times. ^ "Significant Dates in U.S. Food and Drug Law History". ^ "FDAReview.org, a project of The Independent Institute". ^ "FDA History - Part II". ^ Zaffiri L, Gardner J, Toledo-Pereyra LH (April 2012). "History of antibiotics. From salvarsan to cephalosporins". J Invest Surg. 25 (2): 67–77. doi:10.3109/08941939.2012.664099. PMID 22439833. ^ Hamilton-Miller JM (March 2008). "Development of the semi-synthetic penicillins and cephalosporins". Int. J. Antimicrob. Agents. 31 (3): 189–92. doi:10.1016/j.ijantimicag.2007.11.010. PMID 18248798. ^ Abraham EP (1987). "Cephalosporins 1945-1986". Drugs. 34 Suppl 2 (Supplement 2): 1–14. doi:10.2165/00003495-198700342-00003. PMID 3319494. ^ a b Kingston W (July 2004). "Streptomycin, Schatz v. Waksman, and the balance of credit for discovery". J Hist Med Allied Sci. 59 (3): 441–62. doi:10.1093/jhmas/jrh091. PMID 15270337. ^ Nelson ML, Levy SB (December 2011). "The history of the tetracyclines". Ann. N. Y. Acad. Sci. 1241 (1): 17–32. Bibcode:2011NYASA1241...17N. doi:10.1111/j.1749-6632.2011.06354.x. PMID 22191524. ^ "ERYTHROMYCIN". Br Med J. 2 (4793): 1085–6. November 1952. doi:10.1136/bmj.2.4793.1085. PMC 2022076. PMID 12987755. ^ Anderson, Rosaleen (2012). Antibacterial agents chemistry, mode of action, mechanisms of resistance, and clinical applications. Oxford: WiBlackwell. ISBN 9780470972458. ^ SWEET BH, HILLEMAN MR (November 1960). "The vacuolating virus, S.V. 40". Proc. Soc. Exp. Biol. Med. 105 (2): 420–7. doi:10.3181/00379727-105-26128. PMID 13774265. ^ Shah K, Nathanson N (January 1976). "Human exposure to SV40: review and comment". Am. J. Epidemiol. 103 (1): 1–12. doi:10.1093/oxfordjournals.aje.a112197. PMID 174424. ^ "Studies:No Evidence That SV40 is Related to Cancer - National Cancer Institute". Archived from the original on 28 October 2014. ^ "History of Vaccines — A Vaccine History Project of The College of Physicians of Philadelphia". ^ "Prevention of Measles, Rubella, Congenital Rubella Syndrome, and Mumps, 2013". ^ Bloch AB, Orenstein WA, Stetler HC, et al. (1985). "Health impact of measles vaccination in the United States". Pediatrics. 76 (4): 524–32. PMID 3931045. ^ Insull W (January 2009). "The pathology of atherosclerosis: plaque development and plaque responses to medical treatment". The American Journal of Medicine. 122 (1 Suppl): S3–S14. doi:10.1016/j.amjmed.2008.10.013. PMID 19110086. Retrieved 2009-06-20. ^ Gaddam KK, Verma A, Thompson M, Amin R, Ventura H (May 2009). "Hypertension and cardiac failure in its various forms". The Medical Clinics of North America. 93 (3): 665–80. doi:10.1016/j.mcna.2009.02.005. PMID 19427498. Retrieved 2009-06-20. ^ Agabiti-Rosei E (September 2008). "From macro- to microcirculation: benefits in hypertension and diabetes". Journal of Hypertension. 26 (Suppl 3): S15–21. doi:10.1097/01.hjh.0000334602.71005.52. PMID 19363848. Retrieved 2009-06-20. ^ Murphy BP, Stanton T, Dunn FG (May 2009). "Hypertension and myocardial ischemia". The Medical Clinics of North America. 93 (3): 681–95. doi:10.1016/j.mcna.2009.02.003. PMID 19427499. Retrieved 2009-06-20. ^ White WB (May 2009). "Defining the problem of treating the patient with hypertension and arthritis pain". The American Journal of Medicine. 122 (5 Suppl): S3–9. doi:10.1016/j.amjmed.2009.03.002. PMID 19393824. Retrieved 2009-06-20. ^ Truong LD, Shen SS, Park MH, Krishnan B (February 2009). "Diagnosing nonneoplastic lesions in nephrectomy specimens". Archives of Pathology & Laboratory Medicine. 133 (2): 189–200. doi:10.1043/1543-2165-133.2.189 (inactive 2019-03-15). PMID 19195963. Retrieved 2009-06-20. ^ Tracy RE, White S (February 2002). "A method for quantifying adrenocortical nodular hyperplasia at autopsy: some use of the method in illuminating hypertension and atherosclerosis". Annals of Diagnostic Pathology. 6 (1): 20–9. doi:10.1053/adpa.2002.30606. PMID 11842376. ^ Aronow WS (August 2008). "Hypertension and the older diabetic". Clinics in Geriatric Medicine. 24 (3): 489–501, vi–vii. doi:10.1016/j.cger.2008.03.001. PMID 18672184. Retrieved 2009-06-20. ^ Gardner AW, Afaq A (2008). "MANAGEMENT OF LOWER EXTREMITY PERIPHERAL ARTERIAL DISEASE". Journal of Cardiopulmonary Rehabilitation and Prevention. 28 (6): 349–57. doi:10.1097/HCR.0b013e31818c3b96. PMC 2743684. PMID 19008688. Retrieved 2009-06-20. ^ Novo S, Lunetta M, Evola S, Novo G (January 2009). "Role of ARBs in the blood hypertension therapy and prevention of cardiovascular events". Current Drug Targets. 10 (1): 20–5. doi:10.2174/138945009787122897. PMID 19149532. Retrieved 2009-06-20. ^ Craig WM (1939). "Surgical Treatment of Hypertension". Br Med J. 2 (4120): 1215–9. doi:10.1136/bmj.2.4120.1215. PMC 2178707. PMID 20782854. ^ Sneader, Walter (2005). Drug Discovery. A History. New York: Wiley. p. 371. ^ Beyer KH (1993). "Chlorothiazide. How the thiazides evolved as antihypertensive therapy". Hypertension. 22 (3): 388–91. doi:10.1161/01.hyp.22.3.388. PMID 8349332. ^ BORHANI NO, HECHTER HH (1964). "RECENT CHANGES IN CVR DISEASE MORTALITY IN CALIFORNIA". Public Health Rep. 79 (2): 147–60. doi:10.2307/4592077. JSTOR 4592077. PMC 1915335. PMID 14119789. ^ "The Lasker Foundation - Awards". ^ Wright JM, Musini VM (2009). "First-line drugs for hypertension". Cochrane Database Syst Rev (3): CD001841. doi:10.1002/14651858.CD001841.pub2. PMC 80673. PMID 19588327. ^ Stason WB, Cannon PJ, Heinemann HO, Laragh JH (November 1966). "Furosemide. A clinical evaluation of its diuretic action". Circulation. 34 (5): 910–20. doi:10.1161/01.cir.34.5.910. PMID 5332332. ^ Black JW, Crowther AF, Shanks RG, Smith LH, Dornhorst AC (1964). "A new adrenergic betareceptor antagonist". The Lancet. 283 (7342): 1080–1081. doi:10.1016/S0140-6736(64)91275-9. PMID 14132613. ^ Lv J, Perkovic V, Foote CV, Craig ME, Craig JC, Strippoli GF (2012). "Antihypertensive agents for preventing diabetic kidney disease". Cochrane Database Syst Rev. 12: CD004136. doi:10.1002/14651858.CD004136.pub3. PMID 23235603. ^ "A brief history of the birth control pill - The pill timeline | Need to Know | PBS". ^ "Why the Oral Contraceptive Is Just Known as "The Pill"". www.smithsonianmag.com. ^ "BBC News | HEALTH | A short history of the pill". ^ "FDA's Approval of the First Oral Contraceptive, Enovid". ^ Cafe, Rebecca (2011-12-04). "BBC News - How the contraceptive pill changed Britain". BBC News. ^ "Brochure: The History of Drug Regulation in the United States". ^ Tobert, Jonathan A. (July 2003). "Lovastatin and beyond: the history of the HMG-CoA reductase inhibitors". Nature Reviews Drug Discovery. 2 (7): 517–526. doi:10.1038/nrd1112. ISSN 1474-1776. PMID 12815379. ^ Endo A (1 November 1992). "The discovery and development of HMG-CoA reductase inhibitors". Journal of Lipid Research. 33 (11): 1569–82. PMID 1464741. ^ Endo, Akira (2004). "The origin of the statins". International Congress Series. 1262: 3–8. doi:10.1016/j.ics.2003.12.099. Archived from the original on 2008-03-20. ^ Scandinaviansimvastatinsurvival (November 1994). "Randomised trial of cholesterol lowering in 4444 patients with coronary heart disease: the Scandinavian Simvastatin Survival Study (4S)". Lancet. 344 (8934): 1383–9. doi:10.1016/S0140-6736(94)90566-5. PMID 7968073. ^ "National Inventors Hall of Fame Honors 2012 Inductees". PRNewswire. Retrieved 11 May 2014. ^ "How One Scientist Intrigued by Molds Found First Statin". Wall Street Journal. Retrieved 11 May 2014. ^ "Annual Impact Report". Tufts Center for the Study of Drug Development. ^ Outsourcing-Pharma.com. "Pfizer teams with Parexel and Icon in CRO sector's latest strategic deals". Outsourcing-Pharma.com. ^ "How Many New Drugs Did FDA Approve Last Year?". pharmalot.com. ^ a b Perry, Susan (8 August 2012). "Donald Light and Joel Lexchin in BMJ 2012;345:e4348, quoted in: Big Pharma's claim of an 'innovation crisis' is a myth, BMJ authors say". MinnPost. Retrieved 8 August 2012. ^ "About PhRMA - PhRMA". ^ "Has the Pharmaceutical Blockbuster Model Gone Bust?". www.bain.com. Retrieved 19 May 2016. ^ Matthew Harper (2012-02-10). "The Truly Staggering Cost Of Inventing New Drugs". Forbes. ^ IMS Health (2015-06-18). "Are European biotechnology companies sufficiently protected?". Portal of Competitive Intelligence. ^ Bhandari M, Busse JW, Jackowski D, Montori VM, Schunemann H, Sprague S, Mears D, Schemitsch EH, Heels-Ansdell D, Devereaux PJ (2004-02-17). "Association between industry funding and statistically significant pro-industry findings in medical and surgical randomized trials". Cmaj: Canadian Medical Association Journal = Journal de l'Association Medicale Canadienne. 170 (4): 477–480. Retrieved 2007-05-24. ^ Moynihan, R. (29 May 2003). "Who pays for the pizza? Redefining the relationships between doctors and drug companies. 2: Disentanglement". BMJ. 326 (7400): 1193–1196. doi:10.1136/bmj.326.7400.1193. PMC 1126054. PMID 12775622. ^ "Hogan & Hartson Update on Pharmaceutical Trial Registration" (PDF). 3 March 2008. Archived from the original (PDF) on 25 June 2008. Retrieved 2 June 2008. ^ Barnett, Antony (7 December 2003). "Revealed: how drug firms 'hoodwink' medical journals". the Guardian. Retrieved 19 May 2016. ^ Ornstein, Tracy Weber, Charles (11 March 2013). "Dollars for Docs Mints a Millionaire". ProPublica. Retrieved 19 May 2016. ^ Drazen, Jeffrey M. (2015). "Revisiting the Commercial–Academic Interface — NEJM". New England Journal of Medicine. 372 (19): 1853–1854. doi:10.1056/NEJMe1503623. PMID 25946285. ^ Rosenbaum, Lisa (2015). "Reconnecting the Dots — Reinterpreting Industry–Physician Relations — NEJM". New England Journal of Medicine. 372 (19): 1860–1864. doi:10.1056/NEJMms1502493. PMID 25946288. ^ Liberti L, McAuslane JN, Walker S (2011). "Standardizing the Benefit-Risk Assessment of New Medicines: Practical Applications of Frameworks for the Pharmaceutical Healthcare Professional". Pharm Med. 25 (3): 139–46. doi:10.1007/BF03256855. ^ "Electronic Orange Book". U.S. Food and Drug Administration. Retrieved 2007-05-31. ^ "The Orphan Drug Act (as amended)". U.S. Food and Drug Administration. Retrieved 2007-09-24. ^ Herper, Matthew & Kang, Peter (2006-03-22). "The World's Ten Best-Selling Drugs". Forbes. Retrieved 2007-05-31. ^ "Creating Connected Solutions for Better Healthcare Performance" (PDF). IMS Health. ^ Julia Kollewe (2014-03-27). "World's 10 bestselling prescription drugs made $75bn last year". the Guardian. ^ "Top 100 Drugs for 2013 by Sales - U.S. Pharmaceutical Statistics". ^ "IMS Health Forecasts 5 to 6 Percent Growth for Global Pharmaceutical Market in 2007". IMS Health. 2006-10-24. Retrieved 2007-06-19. ^ "New Drug Approvals in 2006" (PDF). March 2007. Archived from the original (PDF) on 2008-02-28. Retrieved 2008-02-23. ^ "Assessment of Authorized Generics in the U.S" (PDF). IMS Consulting. June 2006. Archived from the original (PDF) on 2008-02-28. Retrieved 2008-02-23. ^ "Sanofi Laying Off 1,700 in US". Drug Discovery & Development. ^ "2007 Health and Nutrition - Census" (PDF). U.S. Census Bureau. Retrieved 19 May 2016. ^ Goldacre, Ben (2014). Bad pharma : how drug companies mislead doctors and harm patients (First American Paperback ed.). ISBN 9780865478060. ^ Kaufman, Marc (2005-05-06). "Merck CEO Resigns as Drug Probe Continues". Washington Post. Retrieved 2007-05-23. ^ "Drug Lobby Second to None: How the pharmaceutical industry gets its way in Washington". publicintegrity.org. 2005-07-07. Retrieved 2007-05-23. ^ Moynihan, R. (29 May 2003). "Drug company sponsorship of education could be replaced at a fraction of its cost". BMJ. 326 (7400): 1163. doi:10.1136/bmj.326.7400.1163. PMC 1126044. PMID 12775595. ^ "Dr. No Free Lunch". Mother Jones. Retrieved 19 May 2016. ^ Moynihan, Ray; Cassels, Alan (2005). Selling sickness : how the drug companies are turning us all into patients. Crows Nest, N.S.W. : Allen & Unwin. ISBN 978-1-74114-579-3. ^ "A Collection of Articles on Disease Mongering". Public Library of Science. Archived from the original on 7 June 2007. Retrieved 23 May 2007. ^ "Pharmaceutical Market Research, Trends And Analysis Reports". www.literated.com. Retrieved 17 January 2016. ^ "UK parliamentarians put the pharma industry under the spotlight". European Public Health Alliance. Retrieved 2007-05-23. ^ Buchkowsky, SS; Jewesson, PJ (Apr 2004). "Industry sponsorship and authorship of clinical trials over 20 years". Ann Pharmacother. 38 (4): 579–85. doi:10.1345/aph.1D267. PMID 14982982. ^ Perlis RH, Perlis CS, Wu Y, Hwang C, Joseph M, Nierenberg AA (October 2005). "Industry sponsorship and financial conflict of interest in the reporting of clinical trials in psychiatry". Am J Psychiatry. 162 (10): 1957–60. doi:10.1176/appi.ajp.162.10.1957. PMID 16199844. ^ Tungaraza, T; Poole, R (Jul 2007). "Influence of drug company authorship and sponsorship on drug trial outcomes". Br J Psychiatry. 191 (1): 82–3. doi:10.1192/bjp.bp.106.024547. PMID 17602130. ^ Healy, D (2006). "The Latest Mania: Selling Bipolar Disorder". PLoS Med. 3 (4): e185. doi:10.1371/journal.pmed.0030185. PMC 1434505. PMID 16597178. ^ Cosgrove, Lisa; Krimsky, Sheldon; Vijayaraghavan, Manisha; Schneider, Lisa (2006). "Financial Ties between DSM-IV Panel Members and the Pharmaceutical Industry". Psychotherapy and Psychosomatics. 75 (3): 154–160. doi:10.1159/000091772. PMID 16636630. ^ "Open Payments". February 2019. ^ Lipton, Eric; Thomas, Katie (2017-05-29). "Drug Lobbyists' Battle Cry Over Prices: Blame the Others". New York Times. Retrieved 2017-05-30. ^ a b Goldacre, Ben (2014). Bad pharma : how drug companies mislead doctors and harm patients (First American Paperback ed.). pp. 123–124. ISBN 9780865478060. ^ "Financial Crimes to the Public Report 2006". FBI. 2006. ^ "FBI-Health Care Fraud". FBI. ^ "Department of Justice". Department of Justice. 2015-03-19. ^ Duff Wilson (2 October 2010). "Side Effects May Include Lawsuits". New York Times. ^ "GlaxoSmithKline". BBC News. 4 July 2012. ^ "GlaxoSmithKline Agrees to Pay $3 Billion in U.S. Drug Settlement". Bloomberg. 2 July 2012. ^ Fred Mogul (2 July 2012). "NY to Get Millions in GlaxoSmithKlein Settlement". WNYC. Archived from the original on 19 April 2013. Retrieved 2 July 2012. ^ "BBC News -GlaxoSmithKline to pay $3bn in US drug fraud scandal". BBC Online. 2012-07-02. Retrieved 2 July 2012. ^ Thomas, Katie & Schmidt, Michael S. (2 July 2012). "Glaxo Agrees to Pay $3 Billion in Fraud Settlement". The New York Times. Retrieved 3 July 2012. ^ "Rapidly Increasing Criminal and Civil Penalties Against the Pharmaceutical Industry: 1991-2010". www.citizen.org. Retrieved 19 May 2016. ^ Thomas, Katie; Schmidt, Michael S. (2012-07-02). "GlaxoSmithKline Agrees to Pay $3 Billion in Fraud Settlement". The New York Times. ^ "GlaxoSmithKline to Plead Guilty and Pay $3 Billion to Resolve Fraud Allegations and Failure to Report Safety Data". 2012-07-02. ^ "JUSTICE DEPARTMENT ANNOUNCES LARGEST HEALTH CARE FRAUD" (PDF). US department of Justice. Retrieved 19 May 2016. ^ "Abbott Labs to Pay $1.5 Billion to Resolve Criminal & Civil Investigations of Off-label Promotion of Depakote". 2012-05-07. ^ "#09-038: Eli Lilly and Company Agrees to Pay $1.415 Billion to Resolve Allegationsof Off-label Promotion of Zyprexa (2009-01-15)". ^ See for example: 't Hoen, Ellen. "TRIPS, Pharmaceutical Patents, and Access to Essential Medicines: A Long Way from Seattle to Doha". Chicago Journal of International Law, 27(43), 2002; Musungu, Sisule F., and Cecilia Oh. "The Use of Flexibilities in TRIPS by Developing Countries: Can They Provide Access to Medicines?" Commission on Intellectual Property Rights, Innovation and Public Health, The World Health Organization, 2005. ^ "Declaration on the TRIPS agreement and public health". World Trade Organization. Retrieved 19 May 2016. ^ "Pharmaceutical Manufacturer's Association v. The President of South Africa (PMA)", 2002 (2) SA 674 (CC) (S. Africa). ^ Laurence R. Helfer; Graeme W. Austin (7 March 2011). Human Rights and Intellectual Property: Mapping the Global Interface. Cambridge University Press. pp. 145–148. ISBN 978-1-139-49691-9. ^ "GlaxoSmithKline to 'drop patents in poor countries for better drug access'". BBC News. Retrieved 19 May 2016. ^ "Bumper Year for Corporate Donations Reveals Profit Motives". www.corpwatch.org. ^ "Merk". Archived from the original on 26 August 2006. Retrieved 30 August 2006. ^ "Corporate Responsibility: Novartis". www.novartis.com. Retrieved 19 May 2016.